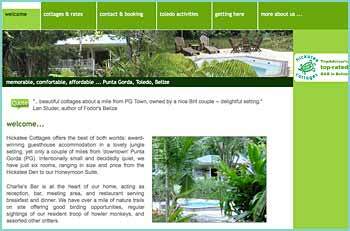 To bless Belize, after attaining its independence was a future Saint, Pope John Paul II. 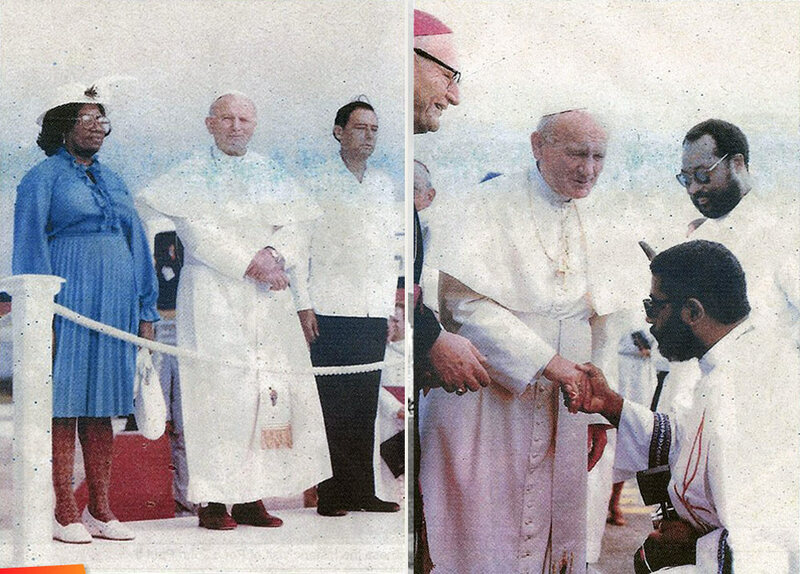 Saint John Paul II visited Belize in 1983, as Pope John Paul. He was received at the Airport by Belize's Prime Minister, The Rt. Honorable George Cadle Price and the Belizean people and the government of Belize welcomed His Holyness. The Pope got off the plane, kissed the ground and then met with Church and Government Officials. He then held mass on the Airport's Apron then departed the country. He never did left the Airport for any other part of Belize. And someone brought the 4 door pickup from Amarillo Texas for the Pope to get around in Belize by order of the United Nations. 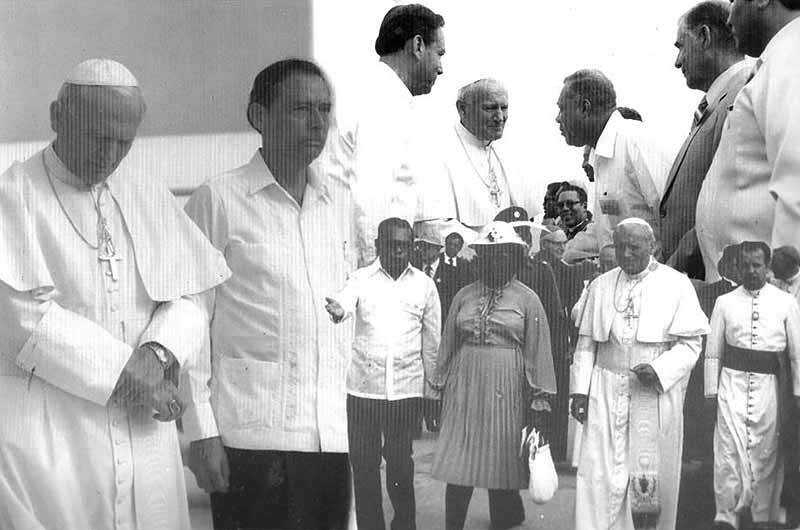 First photo: On the other picture, Our FIRST Governor General Dame Minita Gordon and our FIRST Prime Minister George Cadle Price with the Pope. Second photo: Bishop Doric Wright, the priest kissing the Pope's Ring. - Father Lopez standing.